Voglio cantar – ‘I want to sing’ – is the title of Emőke Baráth’s first solo album for Erato. 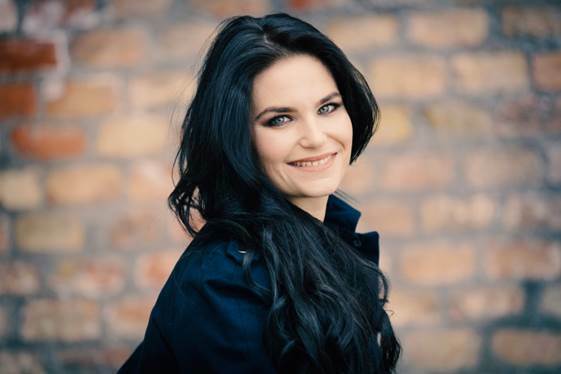 The young Hungarian soprano became an exclusive artist for the label in Spring 2018, having already made an impression with her appearances on three Erato recordings: Handel’s Partenope, conducted by Riccardo Minasi – Gramophone judged her “exquisite and persuasive” – and Gluck’s Orfeo ed Euridice and the ‘concept album’ La Storia di Orfeo, both with countertenor Philippe Jaroussky and conductor Diego Fasolis. Emőke Baráth’s repertoire extends over several centuries, covering Mozart, Mahler and Messiaen, but she has built a special reputation in Baroque music. Italian composers of the 17th century provide the programme for Voglio cantar. Its particular focus is on one of the first female composers to publish music under her own name and to make a considerable reputation: Barbara Strozzi, whose 400th anniversary falls in 2019 – she was born in Venice in 1619 and died in Padua in 1677. The album presents a number of her vocal works, set in the context of both vocal and instrumental music by male composers of her time: Francesco Cavalli, who was her teacher; Antonio Cesti; Biagio Marini and Tarquinio Merula. Baráth is accompanied by Il Pomo d’Oro, conducted by Francesco Corti, making his Erato debut, who joined her in devising the programme. The album was recorded in the exquisite city of Lonigo, about 90 kilometres from Venice. “Barbara Strozzi was a very prolific composer of both religious and secular works,” explains Emőke Baráth, but many of her works have been lost over the centuries.” Her music is harmonically adventurous and deeply expressive, and Baráth – who relishes the often high-lying vocal line – sings it with compelling rhythmic and rhetorical freedom while respecting the conventions of the 17th century. “Strozzi is improvisational, intuitive, even rhapsodic,” she says. “Her style is less strict than Cavalli’s, though she learned her craft from him. She was clearly a passionate woman with a strong dramatic sense, and she had a particularly close and sensitive contact with the texts she chose.” Some of the poems are by her father, Giulio Strozzi; a renowned poet and librettist, he was an influential figure in Venice’s intellectual and artistic life and encouraged Barbara’s talent. She gained renown as a singer, was an eloquent player of the lute and penned some of her own lyrics. As it happens, Giulio adopted Barbara, who was born as his illegitimate daughter. Her mother was Isabella Garzoni, a faithful servant in Giulio’s household. Barbara went on to bring up her own children as an independent single woman. There is some talk of her being a courtesan, but it seems there is no firm evidence for this. Baráth Emőke 2019. január 5-én Tiszta barokk címmel áriaestet ad a Zeneakadémián. A koncert műsora szinte teljesen azonos az új CD albuméval, így az esemény egyben lemezbemutatónak is tekinthető. Közreműködik az Il Pomo d’Oro zenekar, vezényel: Francesco Corti.